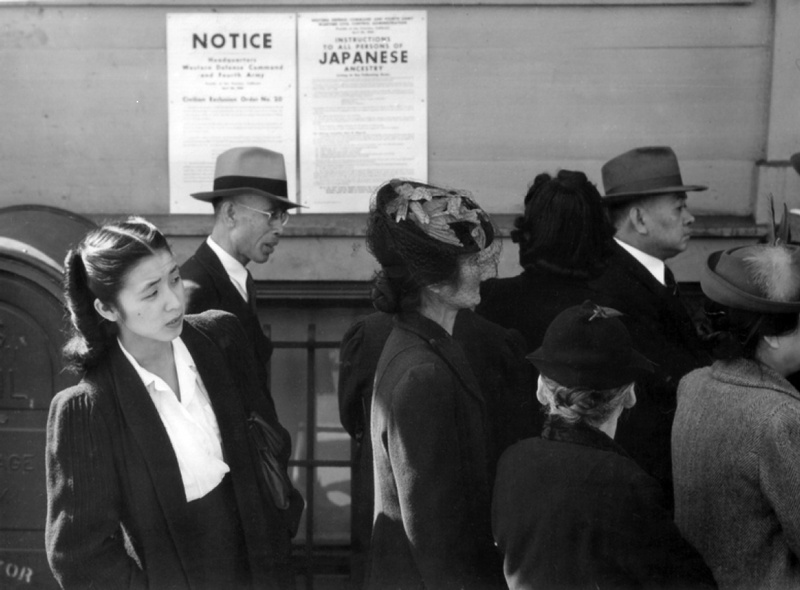 In February we’ll be hosting a Big Read program focusing on the novel When the Emperor Was Divine by Julie Otsuka and the experience of Japanese Americans who were placed in internment camps during WWII. Our kickoff event is on Saturday, February 3 and we have many cultural and historical programs going on that day and throughout the month of February. Please see our program brochure for more information. You can pick up a copy of When the Emperor Was Divine at your local Pasadena Public Library today, and if you’d like to explore further information about this dark episode of American history, you can try one of the books listed below. Sipping tea by the fire, preparing sushi for the family, or indulgently listening to her husband tell the same story for the hundredth time, Kimi Grant’s grandmother, Obaachan, was a missing link to Kimi’s Japanese heritage, something she had had a mixed relationship with all her life. Growing up in rural Pennsylvania, all Kimi ever wanted to do was fit in, spurning traditional Japanese cuisine and her grandfather’s attempts to teach her the language.But there was one part of Obaachan’s life that had fascinated and haunted Kimi ever since the age of eleven—her gentle yet proud Obaachan had once been a prisoner, along with 112,000 Japanese Americans, for more than five years of her life. Obaachan never spoke of those years, and Kimi’s own mother only spoke of it in whispers. It was a source of haji, or shame. But what had really happened to Obaachan, then a young woman, and the thousands of other men, women, and children like her? Obaachan would meet her husband in the camps and watch her mother die there, too. 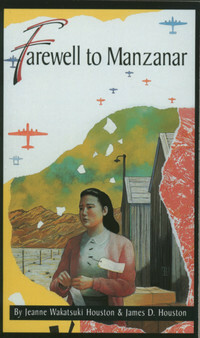 From the turmoil, racism, and paranoia that sprang up after the bombing of Pearl Harbor and the terrifying train ride to Heart Mountain, to the false promise of V-J Day, Silver Like Dust captures a vital chapter of the Japanese American experience through the journey of one remarkable woman. Her story is one of thousands, yet is a powerful testament to the enduring bonds of family and an unusual look at the American dream. At age thirty-seven, Jeanne Wakatsuki Houston recalls life at Manzanar through the eyes of the child she was. She tells of her fear, confusion, and bewilderment as well as the dignity and great resourcefulness of people in oppressive and demeaning circumstances. Written with her husband, Jeanne delivers a powerful first-person account that reveals her search for the meaning of Manzanar. Using personal documents, art, and propaganda, Only What We Could Carry expresses through words, art, and haunting recollections, the fear, confusion and anger of the camp experience. The only anthology of its kind, Only What We Could Carry is an emotional and intellectual testament to the dignity, spirit and strength of the Japanese American internees. In 1941, racial tensions are rising in the California community where nine-year-old Sachiko Kimura and her seventeen-year-old brother, Nobu, live. Japan has attacked Pearl Harbor, people are angry, and one night, Sachiko and Nobu witness three teenage boys taunting and beating their father in the park. Sachiko especially remembers Terrence Harris, the boy with dark skin and hazel eyes, and Nobu cannot believe the boys capable of such violence toward his father are actually his friends.